Prolific grower with yellow pods and red berries. Great for wreaths and arrangements. 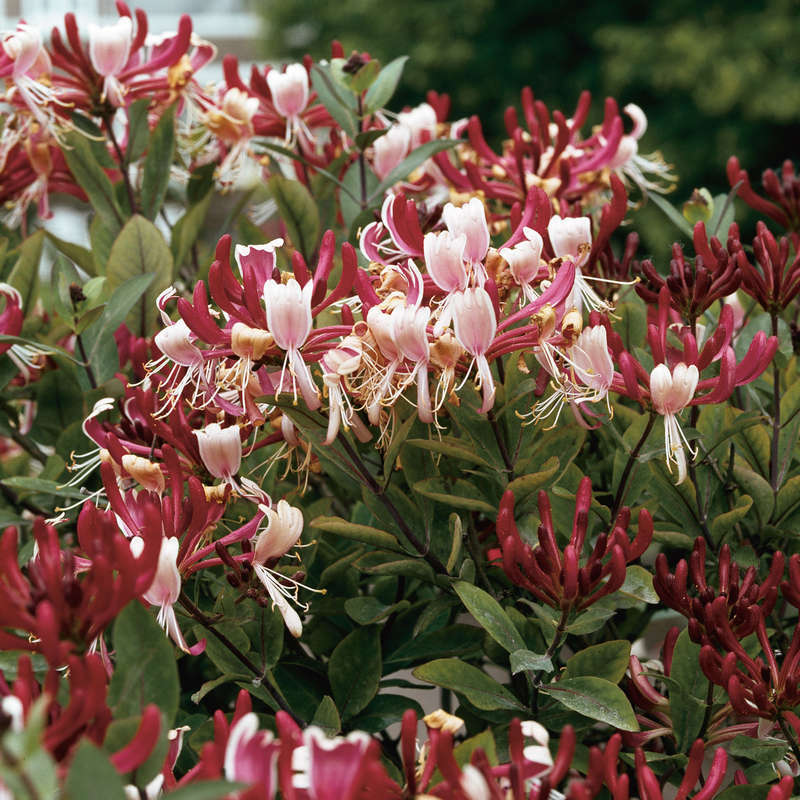 Fragrant 4-5' with orange-red blooms June to September. Great for problem areas. Likes full sun with clusters of 1.5" blooms. All these varieties are fast growing, hardy, attract hummingbirds with their tubular masses of flowers and songbirds with red berries. Heat and cold tolerant. Sweet smelling plants do well on trellises. Showy orange-pink blooms with yellow throats. This Zone 4 plant begins blooming in June, covering an arbor with deep blue lavender panicles. Attractive seed pods form late summer. Midsummer. Strong growing vine with large, grape-leaf shaped green and white speckled foliage. In autumn, the berry fruits mature to a unique porcelain blue color. Fruiting is best in full sun. Best variegation is in partial shade. Very classy coarse textured vine. The 8-10 inch wide heart of kidney shaped foliage is attractive and makes a very effective screen for a trellis, arbor, or fence. Pipe shaped, yellow-green and maroon veined flowers. Fast grower. Summer-early fall. 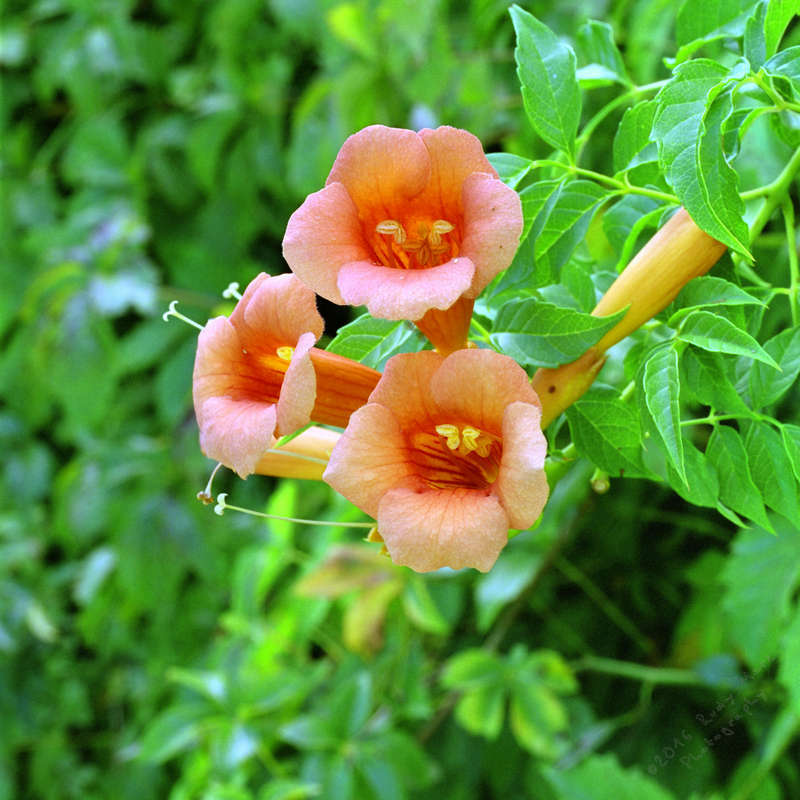 An extremely vigorous vine producing orange trumpet-shaped flowers. Easy to grow in most soil types. Attracts hummingbirds. 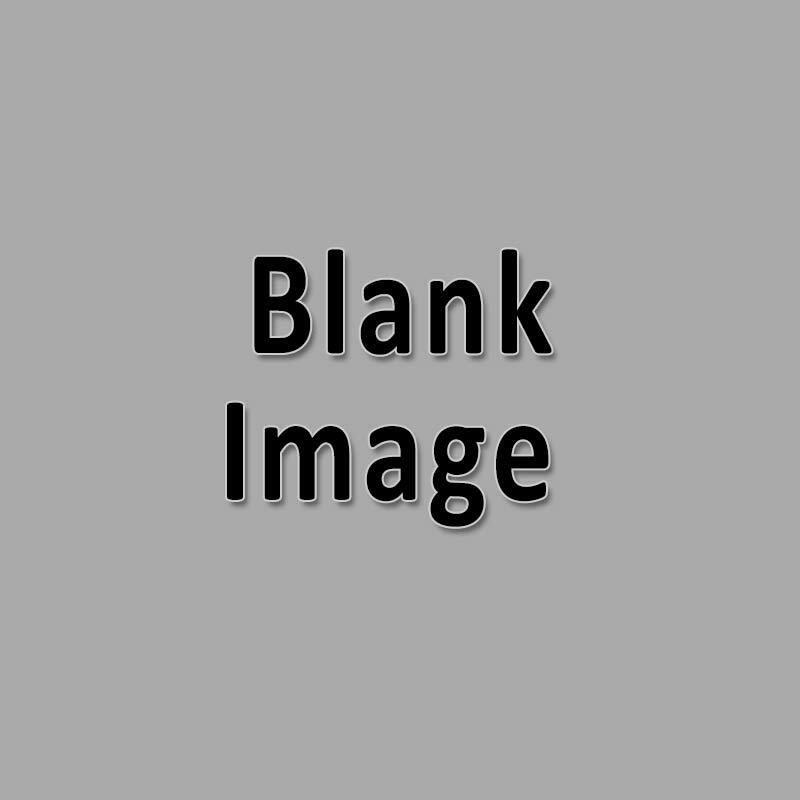 Best used on fence posts, trellises, and screens. Up to 75' late spring. 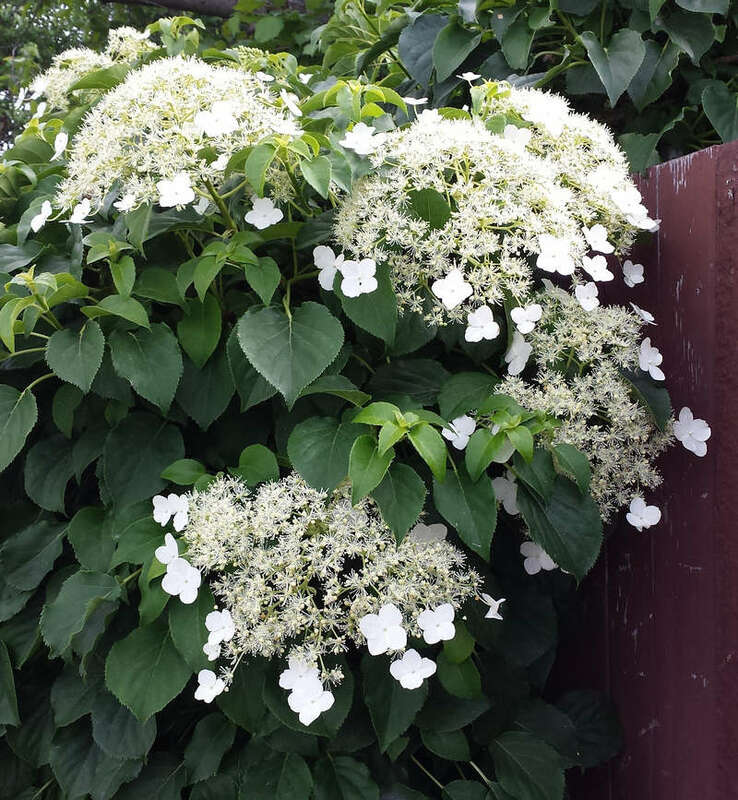 This climbing vine has lush, round dark green foliage. Very showy scrambling up against a tree or on fencing. 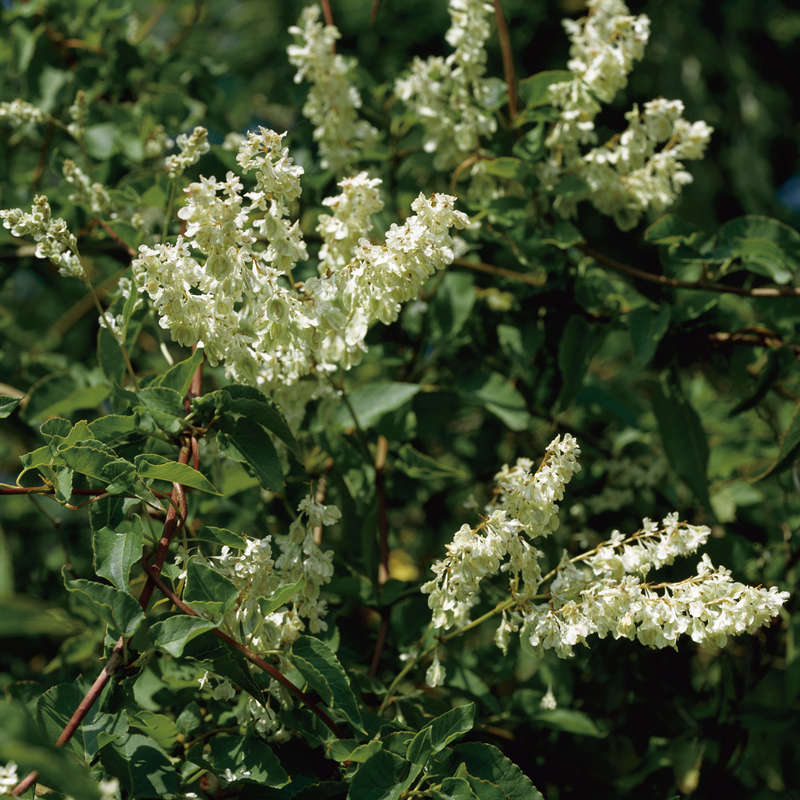 Clusters of fragrant flowers and showy white bracts in early summer. Can grow a foot or more in a season. Midsummer. Twining vine with fragrant, profuse white flowers growing in long erect clusters. Makes a beautiful fence covering.